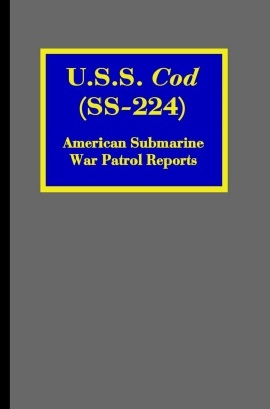 During World War II, American submarine captains were required to file a report detailing what had transpired during each war patrol. The reports included short incident reports, including date and time, detailing anything that the captain considered important enough to note down. Most of the time these were contact reports, but they could also be weather reports, machinery problems, targets sighted, bombs dropped by unexpected enemy aircraft, or men sick. The medical sections of these reports were noted for the occasional broken bone, but somewhat more commonly tooth problems, lice infestations, colds, and that ancient seafarer’s companion, constipation. Other sections dealt with mechanical issues. Were there problems with the engines? It went in the report. Was the radar broken again? In the report. Did everyone stink? Probably, but apparently you got used to it after a while. Detailed reports were kept about attacks. Each torpedo fired was logged by serial number, with the serial number of the warhead also noted, and what type of exploder was being used. A record was kept of depth set, speed setting, gyro angle, distance to target, and whether the torpedo hit or missed, and the result of the attack. These reports are an historical statistician’s delight. The original intention was to publish all of the reports for every sub that served in the United States Navy during World War II. When the project began we were on the cusp of the true digital age. Today, the originals are fairly freely available online, and creating these books is an expensive process. So the ones already completed will remain in print, but probably there won’t be any additions to the collection.